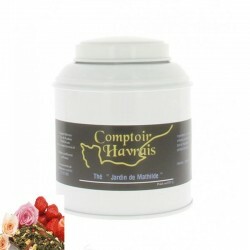 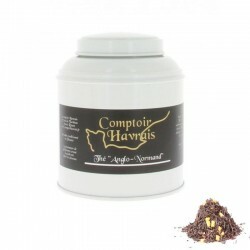 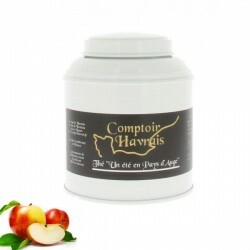 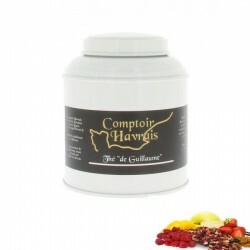 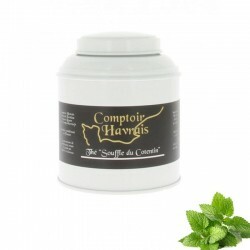 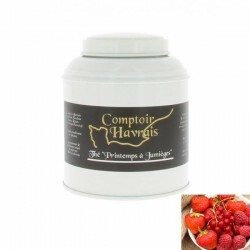 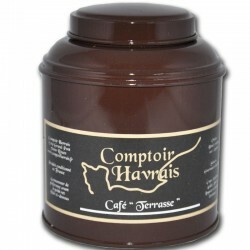 "Du Conquerant" tea, a green tea with aromas of red fruits and vanilla and caramel scent. 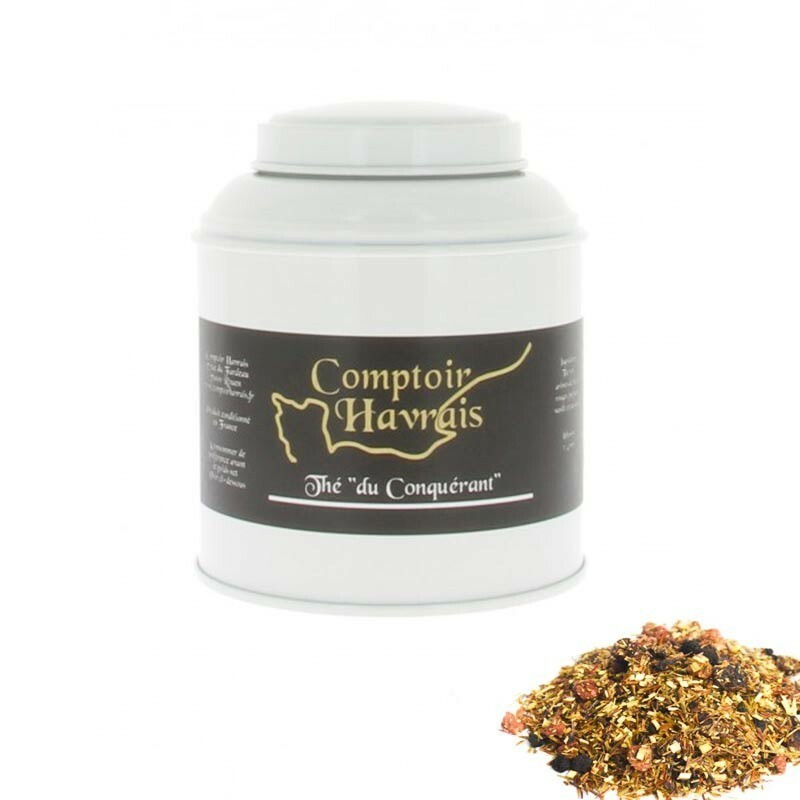 In this creation, green tea with scents of red fruits, symbolizes the conquests of William the Conqueror and vanilla is caramel bring the dream of the Conqueror. 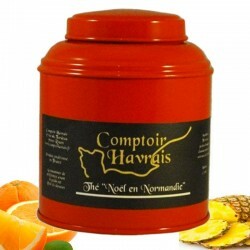 Box 100g.